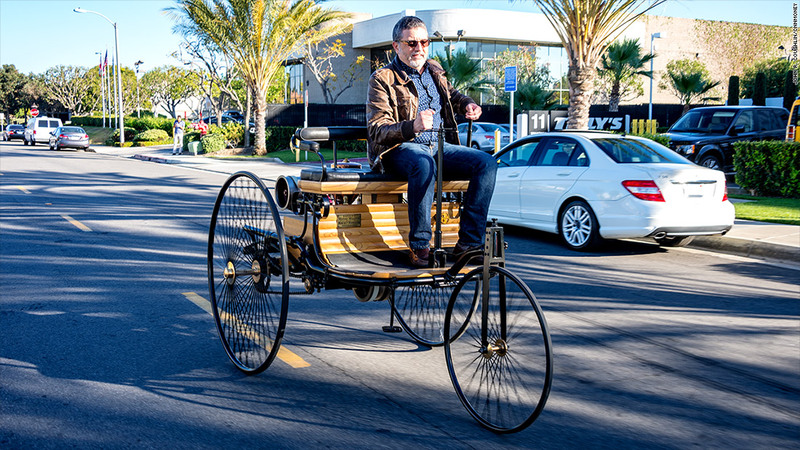 Invented by Karl Benz in 1886, the Benz Patent Motorwagen is generally regarded as the first internal combustion car. I drove an exact replica. It was terrifying. It's steered using a small tiller that turns the single front wheel.